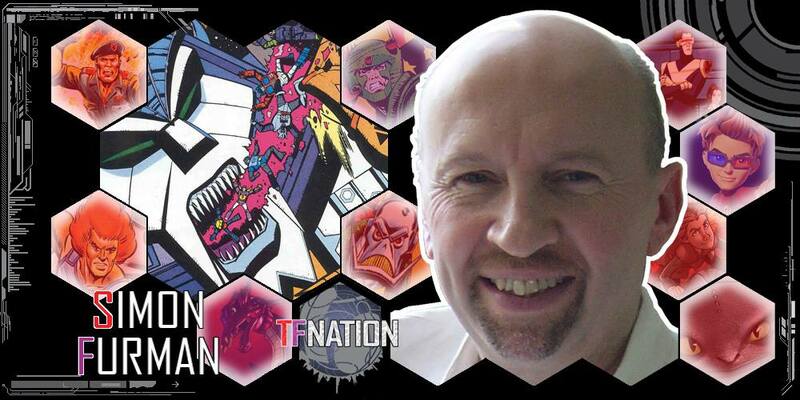 TFNation have announced another guest for their first Transformers convention as Simon Furman! We are honoured to announce that Simon Furman, one of the most significant contributors to Transformers and its rich mythos, will be joining us for our inaugural convention! It really does feel right for somebody who has worked so hard from the Cybertronian's earliest days be here with us to celebrate the bold new era of TFNation. We would keep you here all day if we were to list Simon's complete Transformers credits. Much of his work comprises the bedrock of the comics, animation and films we all enjoy today. Simon's writing has stood the test of time and his work is still held in high regard today. He has worked for the successive publishers Marvel, Dreamwave and IDW. In addition to his writing, Simon also served as an editor for Marvel UK and Titan Books. Away from comics, Simon has been involved in the world of animation from Beast Wars, X-Men: Evolution, Dan Dare to most recently serving as both Head Writer and Script Editor for CITV's The Matt Hatter Chronicles. Over the course of the weekend, you will have the opportunity to hear more about this storied career from the man himself and in much greater detail. Simon will be signing autographs and selling comics and script packs from Friday 19th until Sunday 21st August 2016 at the Hilton Birmingham Metropole Hotel at TFNation 2016. We look forward to seeing you there! Click the link or image above to view the Treader toy gallery. The gallery contains 13 images of this figure for your viewing pleasure. Hasbro Inc submitted a trademark application for SKY SHADOW with the USPTO on the Monday, 10th March 1997. The mark was submitted within the category toy action figures and currently has as status of The registration has been renewed.. Page Rendering Time: 0.3557 seconds.